When we think of the cool bright future, there is often a lot of comfort involved in it. And nothing usually brings more comfort than technology. 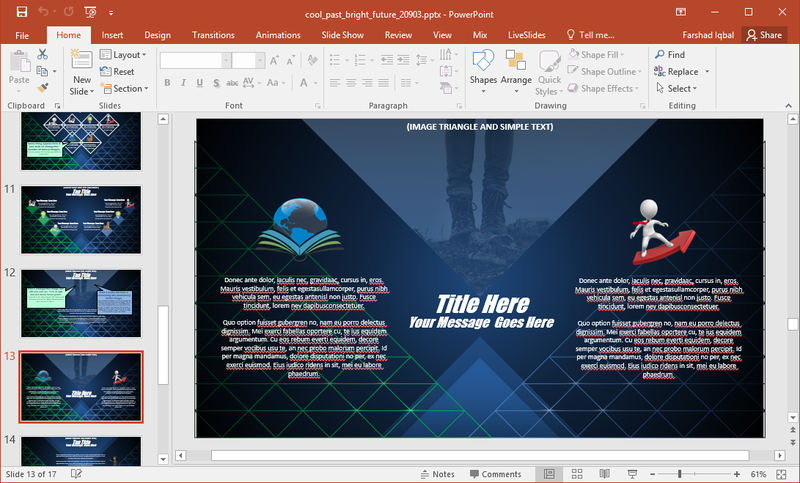 If you need a futuristic looking PowerPoint template, then the Animated Futuristic PowerPoint Template given below is worth checking out. 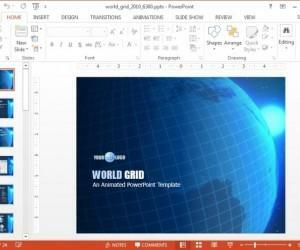 While the original name of the template is Cool Past Bright Future, the template by all means is a futuristic slide deck, with grid like layouts with a blue backdrop, which can be symbolic for outer space. 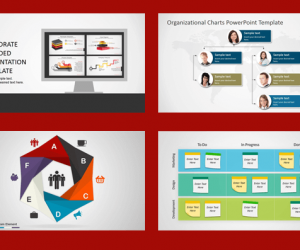 This animated slide deck gives a plethora of options for making attractive, animated slides, with an unobtrusive backdrop. 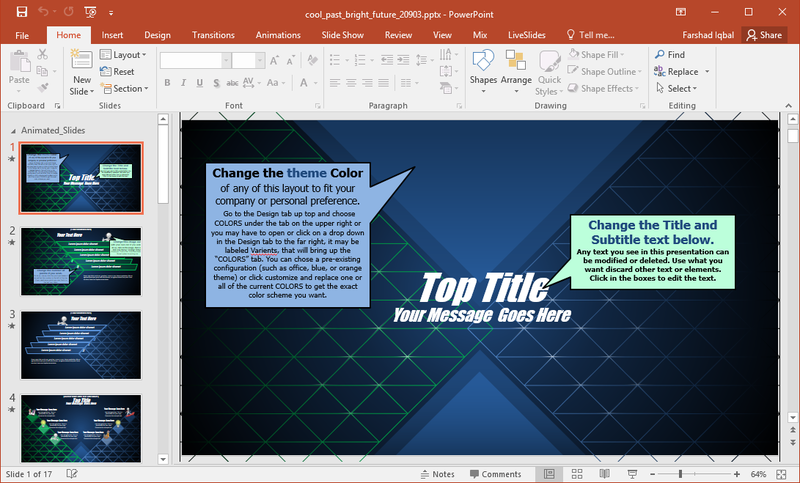 There are a number of tooltips in various slides with instructions regarding how to change theme colors, and sample images. 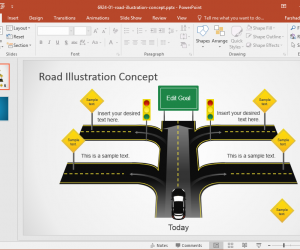 You can redesign the entire presentation deck or make use of the animated slides to quickly create a presentation by filling out the placeholders. It often happens that while your explaining one aspect of the list, the audience can start reading into the following parts of the list as you try to grab their attention on what’s being discussed. 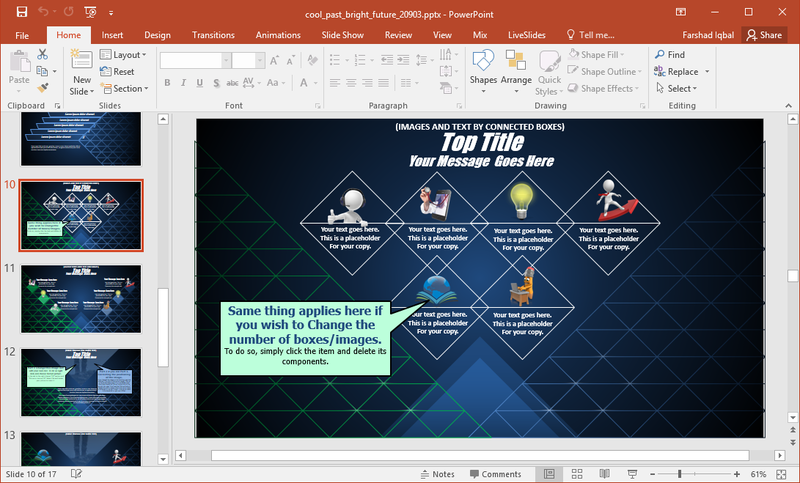 There are a number of list slides in this template that can help you avoid this conundrum. 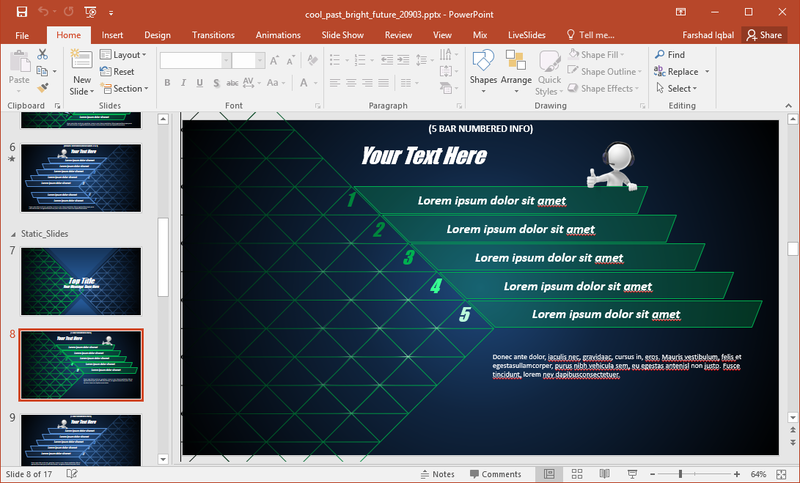 The give list slides in this template load one by one, upon mouse-click. This can be useful in explaining each part of the list before your audience in a set sequence, instead of overpowering them with a lot of text at once. 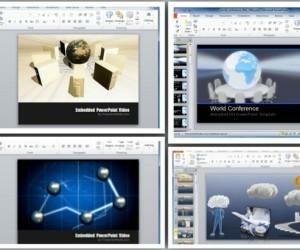 There are different slides which depict interconnected images. 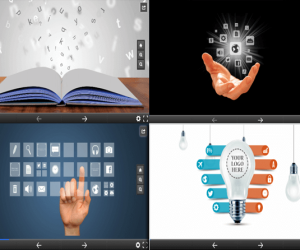 You can replace these images to add your own to create infographics. 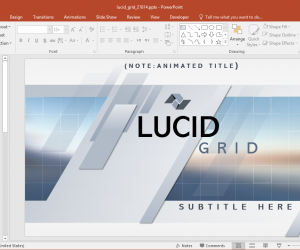 Since this slide deck is fully editable, you can also comprehensively edit these slides to redesign your layouts for making custom infographics.